This was a very enjoyable read. Ms. Hinze keeps the reader interested from the get-go, with enough questions to keep you turning pages, and enough answers to satisfy the "need to know." What would it be like to wake up and not remember who you are or where you come from? Add on top of that, the fact that no one seems to care that you are missing. That was the hook that kept me reading. If you like romantic suspense, you will really enjoy this book! Vicki Hinze is an award-winning author of twenty-three novels, three nonfiction books, and hundreds of articles. 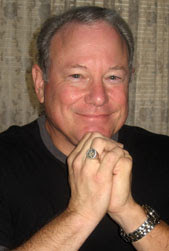 Selected for Who’s Who in America in 2004 as a writer and educator, Hinze is active in Romance Writers of America and serves as a Vice President on the International Thriller Writers Board of Directors. Vicki lives in Florida with her artist husband, a retired Air Force Lieutenant Colonel. Visit www.vickihinze.com to learn more about Vicki’s books, blogs, and writing programs. Leave a comment to be entered to win a copy of this book. Drawing will be held on Friday April, 30th. I discovered exactly what Miss Potter meant when, in the summer of 2002, I typed the first sentence of what I intended to be a novel based on the Biblical prophet Jonah—Ben Amittai: First Call. In the spring of 2009, I typed the last line of what was now a trilogy on Jonah, “A Prophet’s Tale”. How did a novel become a trilogy? Several reasons, I suppose. Inexperience. Seat-of-the-pants writing. Lack of control or any desire to achieve control. But mostly, I blame Miss Potter. The story of the story begins in a Sunday School class. I was teaching a series of studies through the Minor Prophets. When I researched the book of Jonah, it struck me how unique a Biblical character he was, yet how little we knew about him. Why such an acute reaction to the idea of preaching to Nineveh? If the sailors aboard the ship jettisoned all cargo during the storm, what was there left to sacrifice (Jonah 1:4,16)? What kind of shape would he have been in physically after soaking up the digestive juices of a big fish for three days (sorry; hope you’ve finished breakfast)? Hundreds of miles separate the coast of the Mediterranean from Nineveh, so what might have happened during his journey across the desert? Did he speak Assyrian? If not, how did he communicate? How might God have prepared Nineveh to receive His message? Oh, this is only the beginning of the list. In any event, I made the comment to my class, “If I were ever to write a novel, it would be about Jonah.” I had no intention of writing a novel. But my wife, Jeannie, was sitting in the class. And, as wives are wont to do, she elbowed me in the ribs later that day and said, “Well…?” The result: “A Prophet’s Tale.” So, now I can blame both Miss Potter and Jeannie. The inexperience I spoke of a moment ago, combined with impatience and naïveté, plunged me rashly into the publishing industry. I had finished the prequel, Ben Amittai, and paid a subsidy publisher to get it on the street. Wrong approach. The manuscript was not ready for primetime, and over the intervening years I learned what I should have known before I ever peddled my story. I attended writers’ conferences and writing seminars, met agents and publishers, joined the local ACFW chapter to commiserate with other aspiring writers, sought beta readers and critique partners—in short, all the stuff I should have done first. Happily, things improved. I read about a new Christian publishing house (royalty, no-fee), Capstone Fiction (now OakTara Publishing) through a post on Shoutlife. I submitted a much more polished manuscript for the first full part of “A Prophet’s Tale”: The Journey Begun in 2008, and, to my pleasant surprise, was offered a contract. A contract for the second and final part, The Word Fulfilled, soon followed. The Journey Begun was released in July 2009, and The Word Fulfilled is due for release in spring 2010. I still write by the seat of my pants. I love it. I think it optimizes the joy of writing fiction. For me, too much discipline chokes off the creative juices. Sure, eventually you’ve got to sit back and organize your approach and your story so you don’t write yourself into a corner, but in order for the first lines to be “delicious,” they have to be spontaneous, like ordering an entrée on impulse at a new restaurant you just happened to drop into—and discovering not just a new favorite dish, but a new favorite restaurant, as well. Otherwise, you tell the lines where to go instead of allowing them to take you where they want. Example? About three quarters of the way through The Journey Begun, a sub-minor character—someone I didn’t even name, who was supposed to be little more than a prop in one scene—jumped up and did something totally unexpected. I sat back from the keyboard and thought, “Hmm. I wonder why he did that. Let’s see where this goes.” I leaned forward again and started banging away on the keys. Where it went changed the entire course of the story, and he ended up starring in one of the most exciting scenes of the book. I don’t know why. He just did. And he still doesn’t have a name. So, all this to say enjoy delicious writing. Just because you’re the author doesn’t mean you have to write the story. Every writer knows that the path to publication is long and paved with lots of rejection slips. It has always been encouraging to me to read about how a story came to life. How a book went from concept to bound pages sitting on a shelf. Starting Monday, lots of authors will be trickling through to tell you about their stories' journeys. If you are a writer, I hope these stories will be a great encouragement to you. Getting published does take time, but with a lot of hard work and perseverance, it is not impossible. Keep on keepin' on and one day you too will hold your very own work in your hands. If you are a reader, I'm sure you will find the path your favorite book traveled to make it into your hands, an interesting one. 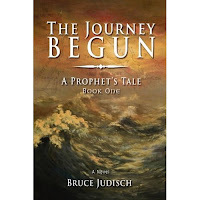 Monday we will start off the author line-up with OakTara author, Bruce Judisch. An Absence so Great is an excellent piece of literary, historical fiction. Not heavy on romance, but full of vivid historical details that will make you feel you are right there as the story unfolds. If you enjoy that kind of writing, I think you will enjoy this book, which is the 2nd books in this series by Jane Kirkpatrick. I have a copy of this book to give away. If you would like to enter the drawing which will take place next Friday the 16th, just leave a comment on this post. Random house gave me a copy of this book to review.